I sauté with it, fry with it, bake, drizzle, and blend with it. I use it in marinades, vinaigrettes, even ice cream. What is this magical food? Extra Virgin Olive Oil from Spain! It imparts a wonderful peppery flavor - thanks to the high amount of healthy polyphenols, an antioxidant that helps fight free radicals and may help prevent age-related diseases, certain cancers, high blood pressure and cholesterol - and, when handled and stored properly (i.e. away from light and heat), it won’t expire! Its characteristics will evolve after a certain period of time, but it can safely be consumed without any health risk even if the date of preferential consumption indicated on the package has been passed. But if you love olive oil as much as I do, your supply will quickly need replenishing! 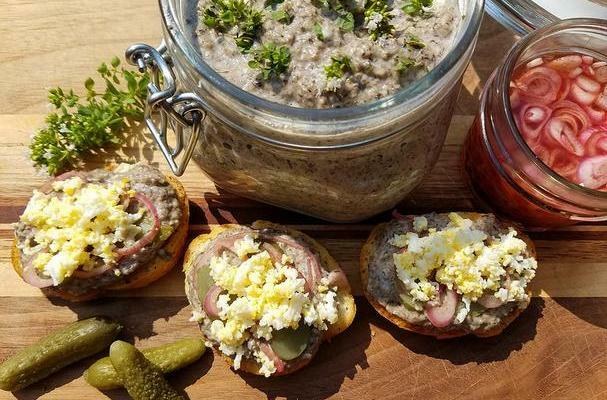 The following mushroom pâté recipe is one of my favorite year-round appetizers to serve at outdoor barbecues and indoor dinner parties. 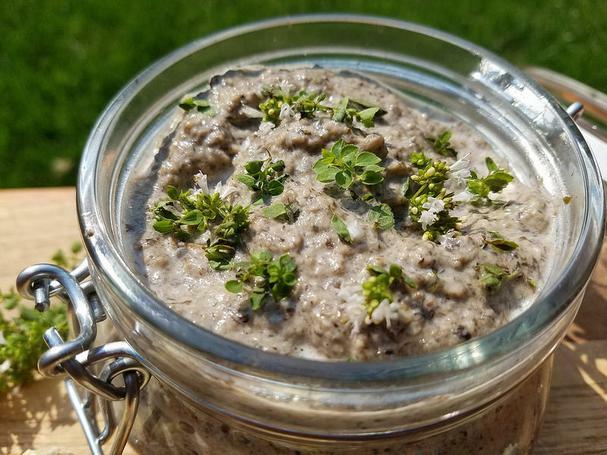 It’s easy to make, excellent either cold or warm, and much better for you than its chicken liver counterpart! 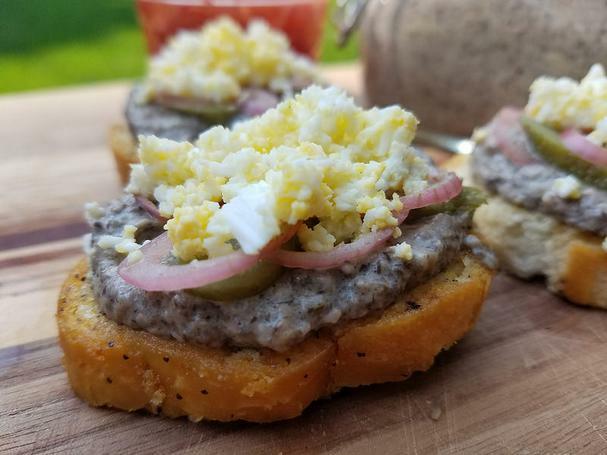 Serve it on toast points, crackers or crostini with quick pickled shallots, cornichon, and hard-boiled egg for an elegant part of your entertaining. 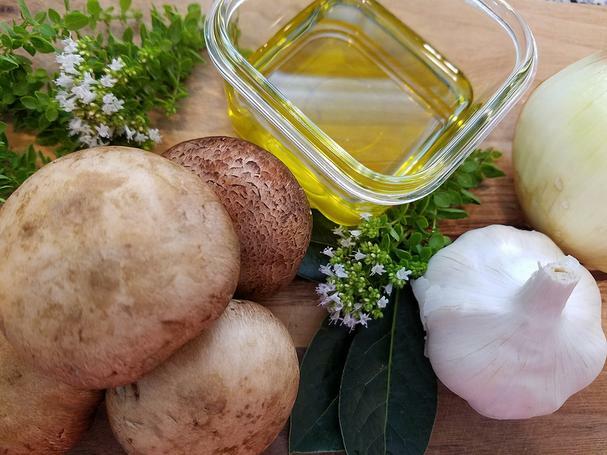 To get the full recipe, head over to the Olive Oils from Spain Website. To learn more about Olive Oils from Spain, please follow them on Facebook, Twitter, Instagram and Pinterest! This sponsored post was paid for by Olive Oils from Spain.